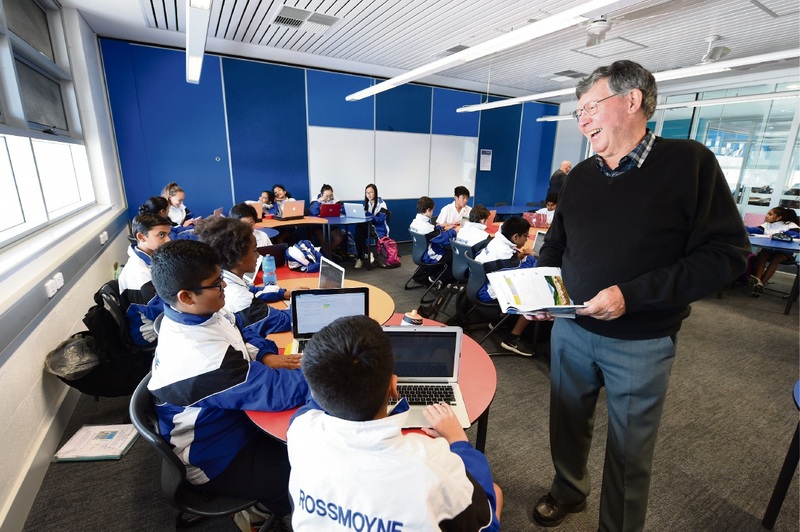 ROSSMOYNE Senior High School said farewell last month to maths teacher Paul Jones who dedicated 45 years of his career to making learning a fun experience for students at the school. Mr Jones (69) said that during his tenure at the school, he had noticed a change in children’s willingness to do well academically. “Over time, a lot of work was done towards developing a culture in which it was felt to be OK to be recognised as being good academically,” he said. During his years at the school, Mr Jones recalls teaching three students who went on to become Rhodes scholars. “I was a referee for the most recent of those students, Craig Wood. “In an interview after his selection, Craig quoted an occasion just before the final exams when I gave each student in the class a folded piece of paper. “I told the students that we had completed all the content in the course and that the paper contained the secret to doing well in their exams. When the students opened the note there was simply the one word – ‘THINK’. School principal Milanna Heberle said Mr Jones was a well-respected and well-liked teacher by students, staff and parents. She said Mr Jones also contributed to the school with his work with the interstate Australian Schools Volleyball Cup that he attended annually.